It is now high summer and there are the slightest signs that autumn is not that far away. However as we move into late summer, we are always treated to it’s fantastic farewell performance with a grand array of late flowering shrubs and perennials. Again we are spoiled for choice. The spectacular Heleniums are now blooming with the ‘Sahin’s Early Flowerer’ and one of my all time favourite plants Rudbeckia, which just flowers and flowers and flowers. 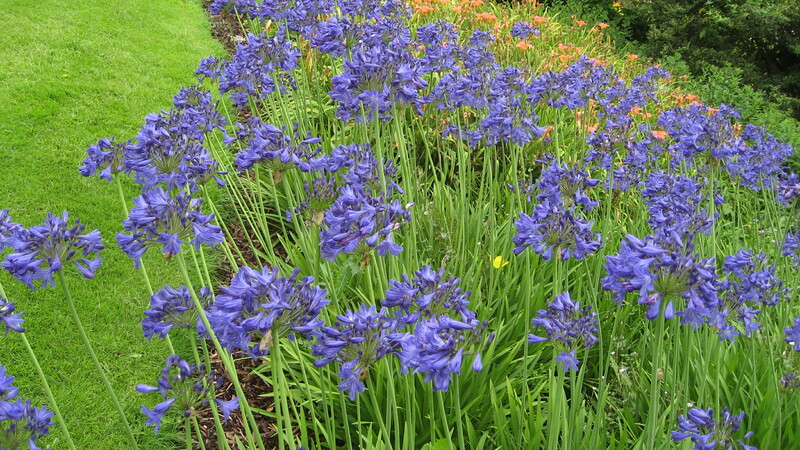 Although they have been flowering for a couple of weeks, one of the stars of the herbaceous beds are the Agapanthus. 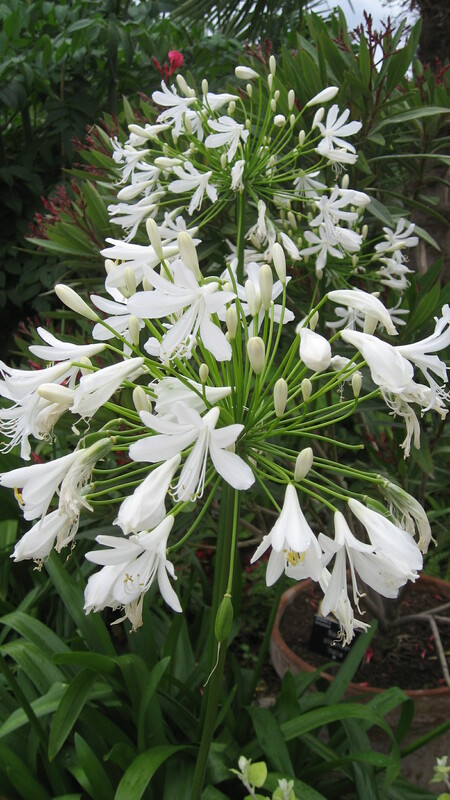 The African lilies sit above the ground cover plants producing erect stems reaching 45-150 cm in height. 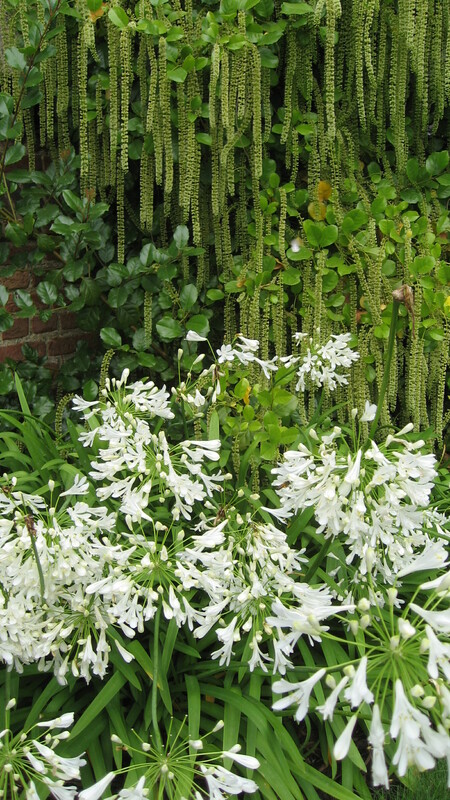 Their foliage itself is quite attractive but they are planted for the fantastic blooms of bell-shaped flowers. They are very attractive planted amongst lavenders or salvias but either planted as individuals or in drifts these majestic plants look stunning. 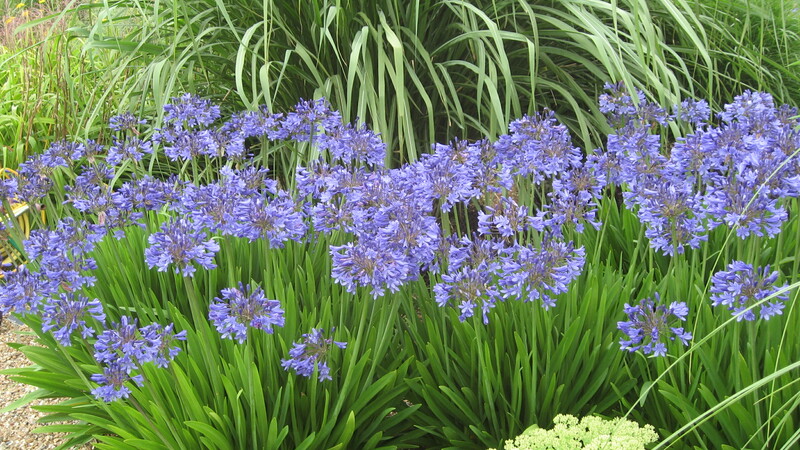 Now available in a range of colours from purple (Purple Cloud; Canberra or Jack’s Blue) through deep blues (Bressingham Blue; Blue Bird or Buckingham Palace) to the lightest of blues (Ice Blue Star; Storm Cloud or Headbourne Blue) blue to pure white they are versitile and take over from the Alliums that bloomed earlier in the summer. The white version is a delight – so graceful and stylish. ‘Snowdrop’; ‘Polar Ice’ and ‘Bressingham White’ are examples of the many white varieties that are available. If you want to use them as a focal point, plant in front of dark greens or plants with a different texture such as this Itea. 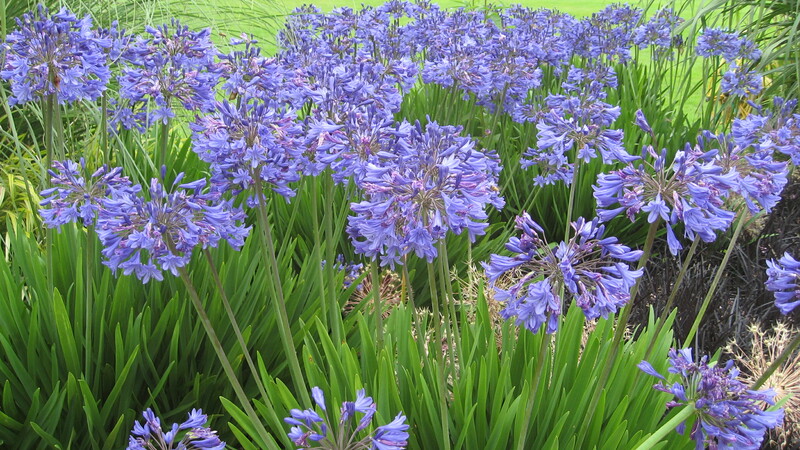 The secret to getting your Agapanthus to flower is starve them of nutrients. They will then present you with a dazzling explosion of colour.